A single room is NOW available in Double Bay, at 470 New South Head Rd. It’s a little apartment in a good location and NOT a party house. The rent is $350 per week including Cleaning of the apartment (bathroom and living room), bills (electricity, gas, water and unlimited internet.) 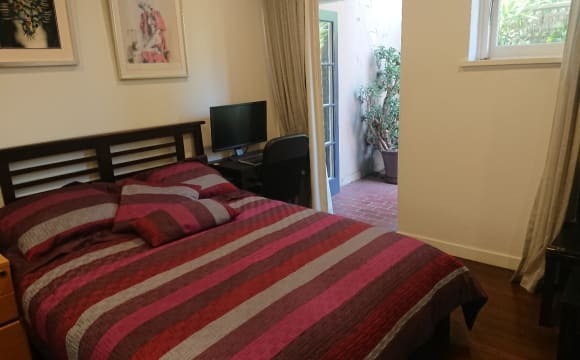 The room is fully furnished with double bed, TV, built in wardrobes, bedside table with lamp and full size mirror and a desk if you choose to keep it. About the facilities, you have the bus stop just 3 mins walk from the house that brings you to Edgecliff station or the City. It takes between 15 - 20 min to get to the City from home. We also have a Massive Woolworths just 3 mins distance from the house with a lot of little cafés and restaurants around. If you’re a student you will also enjoy the brand new Woollahra Library with all your needs. Close to the beach, parks, cadres, restaurants, bars, a great supermarket and transport. This recently renovated apartment is light filled and has a great shower. 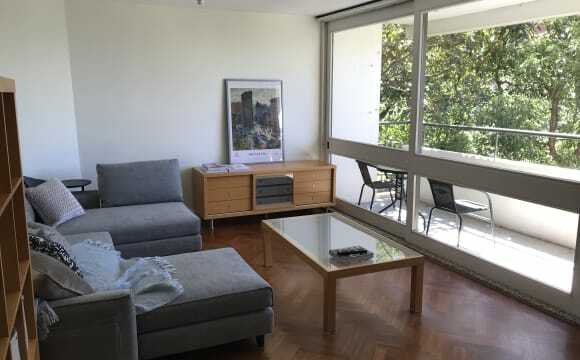 About the flat: Fully furnished 2 bedroom apartment in the heart of Double Bay. 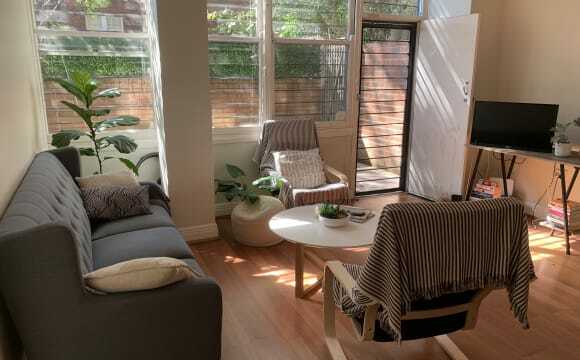 7 minute walk to Edgecliff train station which has a direct train to the city. The apartment has 1 bathroom which we will share, kitchen with appliances, living dining and a sometimes sunny balcony :) Internet, Netflix and bills included in rent. 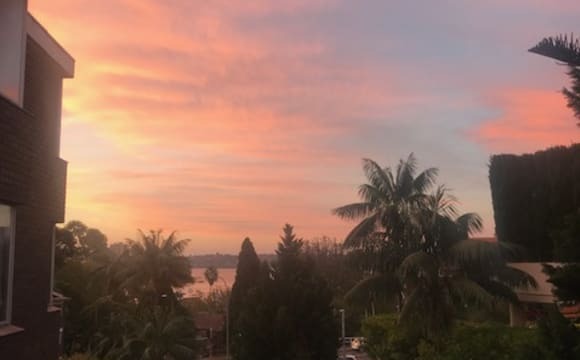 The apartment is bright, spacious and nicely furnished, with a pleasant treed outlook in every direction and a nice view towards the bay from the living room balcony. The location is awesome - five minute walk from the ferry, ten minute walk from the train station and even closer to all the amazing cafes and stores in Double Bay (including the best Woolworths I've ever been to!). The room itself fits a queen size bed and has a small BIR and north facing view. There is also lots of storage in the living room and kitchen areas you can utilise. Bathroom is quite nice and I keep it super clean, plus I'm out of the house early in the morning so sharing will be easy! A great 3 bedroom apartment in the heart of Double Bay. Less than 3 minute walk to beaches/parks/bars and Woolworths supermarket and less than 12 minute walk to Edgecliff Station. Along with 3 bedrooms, the master bedroom which is currently being offered has a massive ensuite and loads of storage space including his and her walk in robes along with a secure 1 car garage. The rest of the house has a grand living space wth loads of natural sunlight which is nice. This beautiful and spacious art deco apartment has a great location in idyllic Double Bay. Only 2 min walk to Redleaf beach and 5 min walk to double bay bars and restaurants. 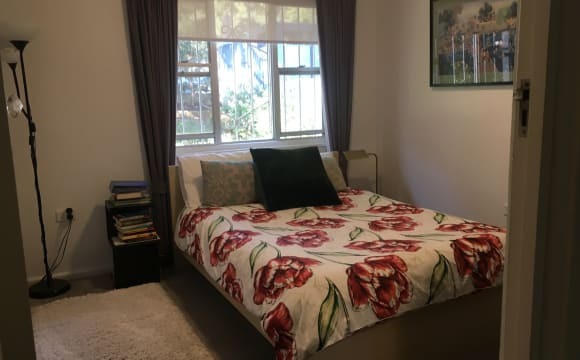 Located in the heart of Double Bay, a 5 minute walk from both Edgecliff Station and Woolworths there is a room available in my freestanding semi in Double Bay as my roommate is moving out. The room is perfect for those who commute to the city who are looking for a convenient place to live. The house is furnished with a TV, laundry, kitchen, couch, kitchen table etc. (see photos) and also has a small courtyard at the back of the property with an area to relax as well as a BBQ. The room has a bed, bedside table, closet for clothing and pedastal with drawers for clothing - basically all of the necessities that you would require in a standard bedroom. Price is negotiable. 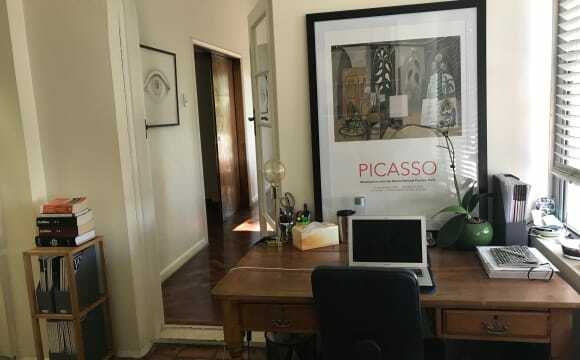 Grand and spacious 3 bedroom double bricked Art Deco apartment, feels more like a house, on Edgecliff Road (block of 3). Large modern kitchen with a separate dining room next to a good sized office. A sun-filled, furnished balcony off a large sunny living room with a gas fire. An original walk in shower in a large main bathroom and separate bath and office. Very much a sanctuary and very much a home. Many of the living areas are able to be shut off for privacy and space which makes this a a great home to share with others. The proportions of this apartments living rooms are large. There is plenty of parking if needed on the street. Just a 3 minutes walk from the train station, buses and shopping centre. A short walk to Double Bay and Queen Street, Woollahra. Fully furnished bedroom with queen size bed and en suite in lovely Art Deco building in quiet, leafy area. 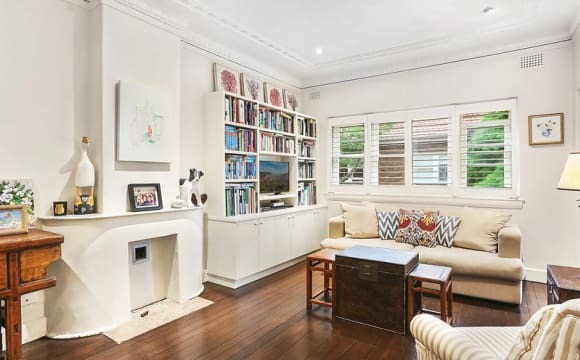 Only ten minutes walk to Edgecliff station. No couples or shift workers. Modern apartment with a large room that has a huge private balcony. Only moments away from Edgecliff Shopping center and train station. Nearby double bay offers beautiful parks, beaches, shopping, restaurants and nightlife. Located in a leafy quiet street in Darling Point; this sun filled apartment is set on the third floor with lovely serene views. The bedrooms are located down a corridor separate from the open plan living and dining area. The room available is double size including a built-in wardrobe fully equipped with hanging space, shelves and draws. The apartment has one shared bathroom, European style laundry (with washing machine) and modern kitchen that includes a dishwasher, microwave and small appliances. Walking distance to the beautiful harbour of Rushcutters Bay and Double Bay (where you can swim!) 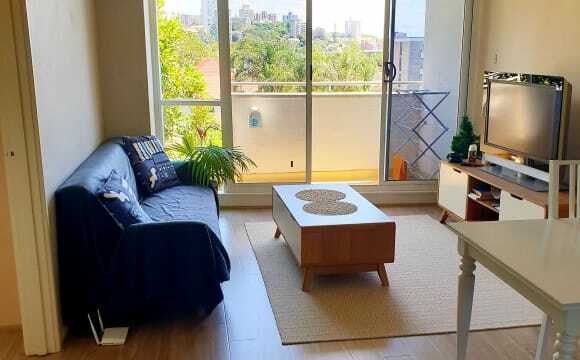 This apartment is a 5-7 minute walk to public transport (Edgecliff train station and buses) and close to many amenities including Edgecliff Coles and Double Bay Village where you’ll find boutique stores, cafes and restaurants. There is also free on-street and visitor parking available. All bills are additional and not included in rent (internet, Foxtel, water and electricity). Note: Furniture is all new and inclusive (not pictured). You will only need to bring furnishings for your room. Rent is $410 per week plus bills (shared 50/50 internet, Foxtel, water and electricity), 1-month bond. Lease is for 6 months but happy to extend for the right tenant. 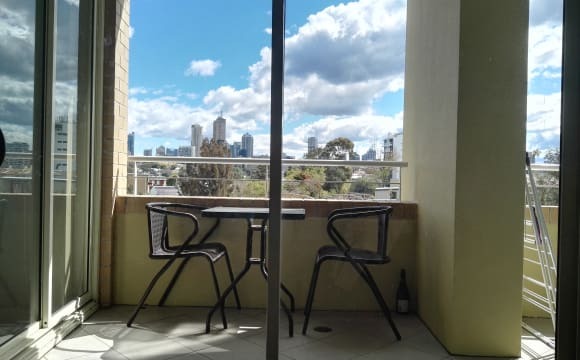 Hello, Welcome to our lovely apartment, perched up on the eleventh floor, super close to the CBD and Double Bay, fully furnished with the most amazing views of Sydney! The room is available from 30 April. Some of the highlights include: - 270 degree unobstructed views of Sydney - heaps of natural light, and really large windows throughout - excellent security: intercom entrance and lift pass required to access floor - onsite building manager - an amazing POOL that is pretty much always available! - storage locker - underground carpark for the apartment (available at an additional cost) - unlimited internet, Foxtel &amp; Netflix - less than 10 min walk from Edgecliff station - 5 min walk to the Darling Point ferry - 5 min walk to Double Bay - 10 min walk to Redleaf beach - 40 min walk to the CBD - 15 min walk to Kings X The room isn't huge (3x3m) but the killer views of Rushcutters Bay and the city more than make up for it. The room comes with a huge in-built wardrobe and can fit a queen bed. Can come furnished if needs be. Secure underground locked garage for storage and car can be rented for an additional $50/week. No couples please. 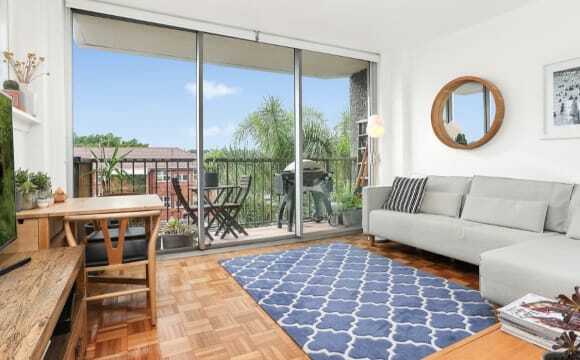 Darling Point- a great location- 6 minutes to the city &amp; 2 minutes to Bondi Junction by train. The train station (Edgecliff) is at the end of my street, the ferry to Circular Quay is at the other end of the street. I live here with my beautiful dog- Tiny. He is 14 and is indoors with me- he is my shadow. The apartment is fully furnished. I have Foxtel and internet. Both bedrooms have double beds, wardrobe, ceiling fans. Suburbs within walking distance include Bondi Junction, Double Bay, Paddington, Woollahra, Kings Cross, Potts Point, and the city. I offer short term accommodation for FEMALES only, 1-2 weeks &amp; up to 1 month is considered. 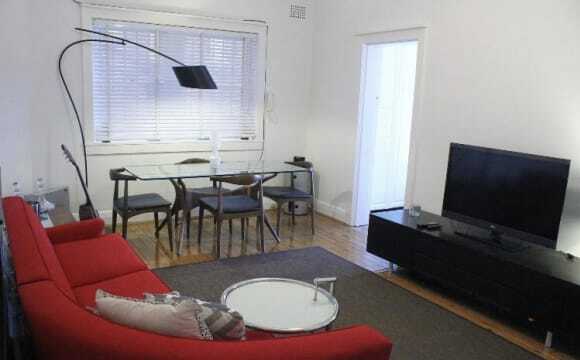 My home is a great place to stay whilst you look for long term accommodation/get to know Sydney- possibly you have just arrived in Sydney and need time to find a place/have a gap between rentals/come to study short term etc. This is a fantastic apartment! On the water’s edge. Harbour views. Large communal conservatory with kitchen, sitting area, pool, and a boat ramp! The bedroom has a fan, built in wardrobe, and space for a double bed. The flat is furnished, except the bedroom. There is an option to pay extra for a garage. I bought all the furniture and kitchen utensils less than a year ago- so all modern and new! The apartment is quiet, but still very close to bars and clubs of Double Bay, the ferry wharf at Darling Point, a bus stop and c 15 mins from Edgcliffe station. This is a fantastic apartment! On the waters edge. Harbour views. Large communal conservatory with kitchen, sitting area, pool, and a boat ramp! The bedroom has a fan, built in wardrobe, and space for a double bed. The flat is furnished, except the bedroom.There is potential to be extra for a garage. I bought all the furniture and kitchen utensils less than a year ago- so all modern and new! 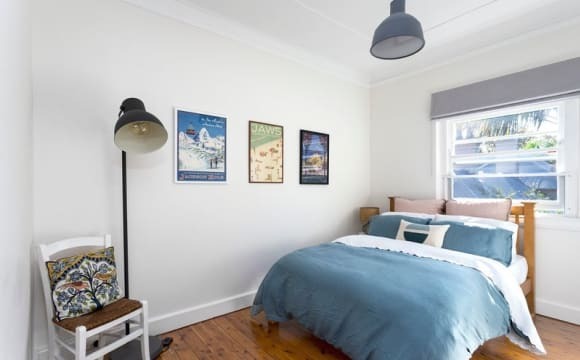 The apartment is quiet, but still close to bars and clubs of Double Bay, the ferry wharf at Darling Point, a bus stop and c 15 mins from Edgcliffe station. (Pics are of the room, rest of apartment, and communal area.) Move in date 12th may. Very mature, reliable, professional sought for room in 3 BR apt. Share with 2 other prof. Large double built-ins. Air Con, int laundry, double brick, double glazed. Small private balcony plus larger common balcony off living room overlooking Paddington (in picture). Security building and guest parking. Cls to Everything. Next to Edgecliff Centre, Train and Bus Terminal. 5 min train to Martin Pl or Bondi Jn. 5 min walk Rushcutters Bay or Trumper Park and tennis club. 12 min walk Double Bay/ Cross/ 5 ways Paddo. I am looking for a clean, considerate, reliable professional 26+yo. The apartment is divided in 3 floors: The first one is the living area with a large balcony and a beautiful view of the city and the Harbour Bridge, The second one is yours (with your own bathroom and bath tub, your bedroom and your private balcony) and the top one is hers. Ideally located only 2-3 min walk from edgecliff train station, coles aldi, harris farm, bakery &amp; cafés and many more... Rushcutters park (with a marina, a tennis court...) for the sport lovers and anytime fitness are literally at your door step. The apartment is very sunny so all rooms are equipped with an air conditioner. Internet and all bills are included in the price as well as a parking spot (on request) in the underground car park. Everything is furnished, even the shits and towels if necessary. We are just looking for someone easy going and respectful for a minimum of 2 weeks. Room is available from 20/05 - 21/06. The apartment has just had a brand new renovation - New kitchen and bathroom, and freshly painted walls. Stunning wooden floors throughout. Balcony with leafy outlook. Really well lit with beaut sun streaming through in the morning. The room you will have is big enough for a queen bed but it won’t leave much space aside from a bedside table and maybe a small bookshelf. If you have a double bed it would be more comfortable. It also has a ceiling fan and built-in wardrobes with mirrors on all doors and plenty of great storage. It’s a short walk to Edgecliff station and right across the road to Flat White cafe if you love a good coffee. There is no parking but plenty of off-street with no time restrictions and free. Building has coin operated washing machine and dryer, lift and security system/buzzer at entry.